We are proud to have formed strong links with a choir 'Cantagarrigue' from the Languedoc, France. 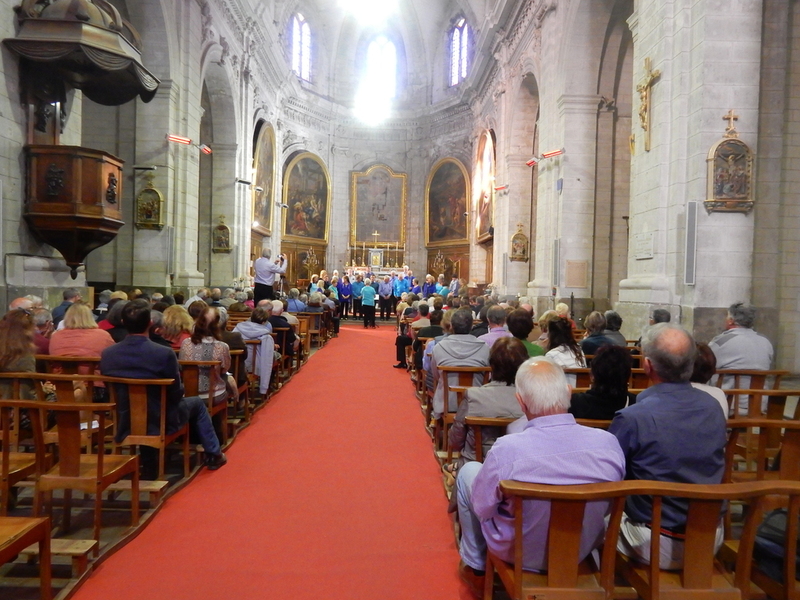 The Axbridge Singers have a flourishing link with a French choir from the Languedoc region in the south of France. 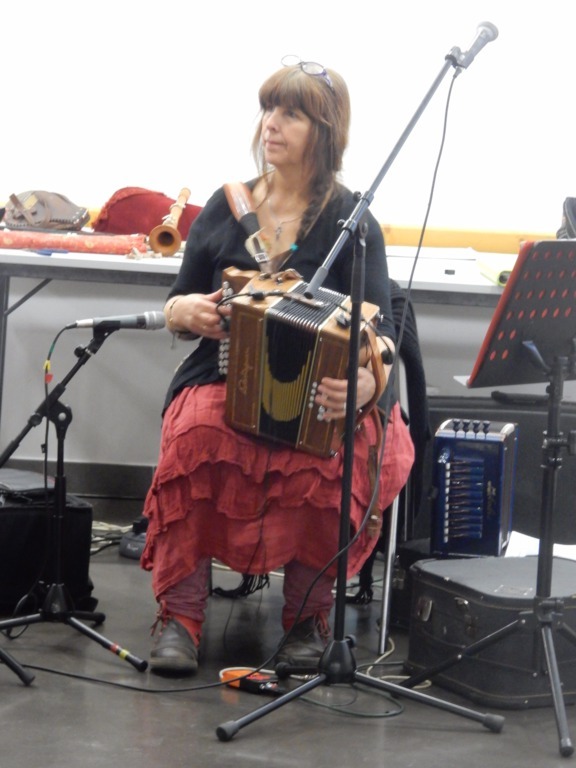 It began two years ago when Amanda Boyd (a local folk singer and member of the Axbridge Singers) was visiting an English friend in that area of France. 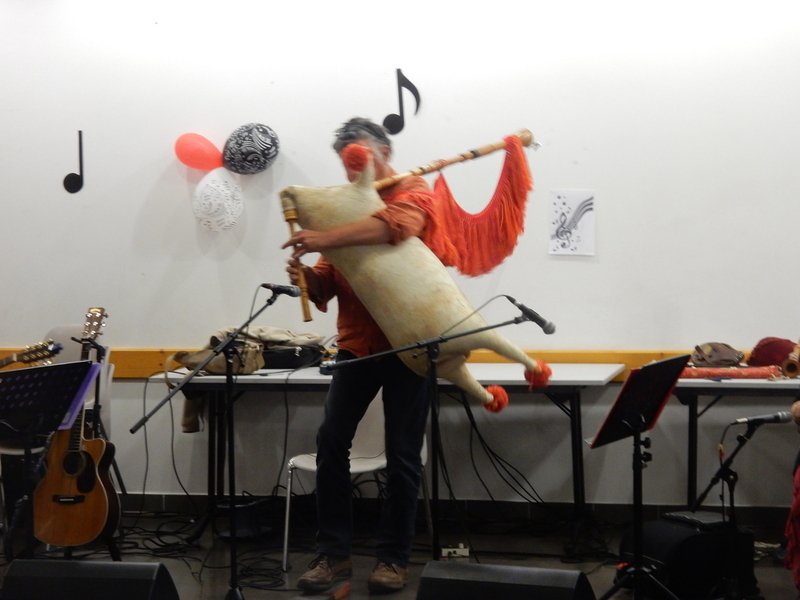 She attended a choir rehearsal of ‘Cantagarrigue’, his local choir – and the seed of an idea was born! The pleasures of singing together are universal and form an excellent basis for making good friends. Please scroll down to see the history (most recent at the top) of the growing link between our two choirs. 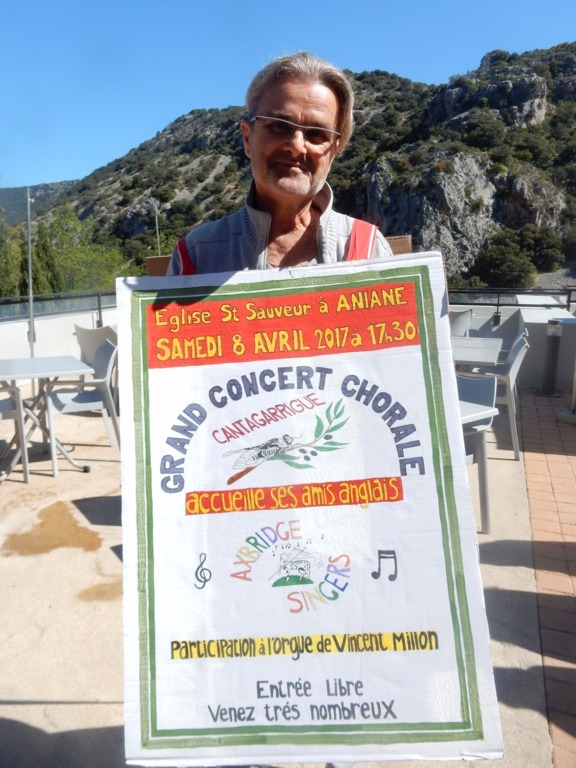 APRIL 2017 THE AXBRIDGE SINGERS VISIT TO CANTAGARRIGUE! 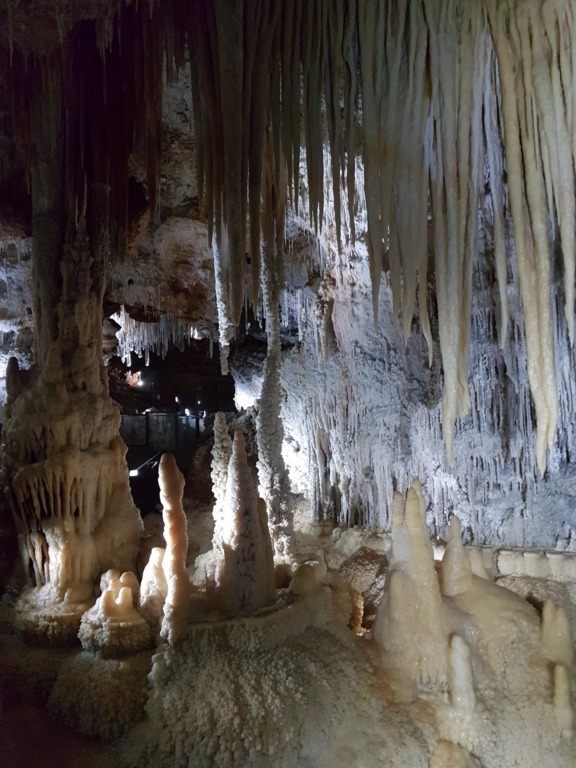 In April we visited our fantastic French counterpart, Cantagarrigue. We had a great time and they were fantastic hosts. 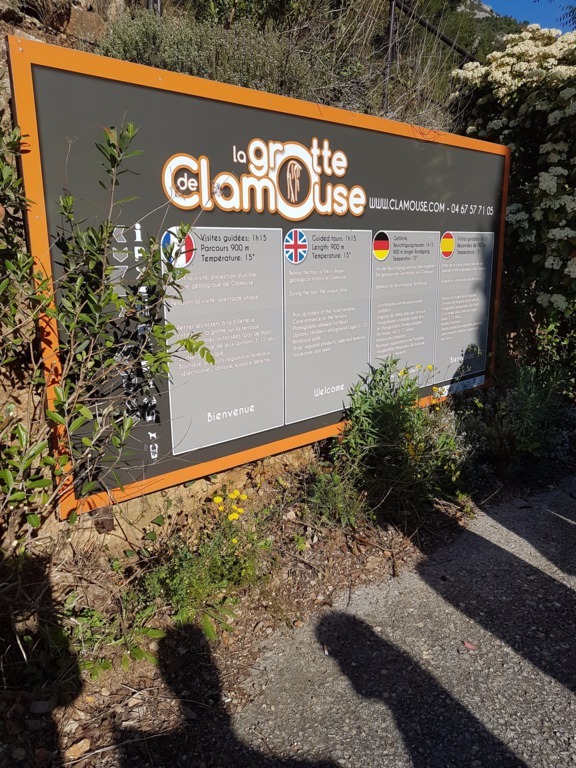 There was lots of laughter, fun and games and impromptu singing in the stunning La Grotte de Clamouse. 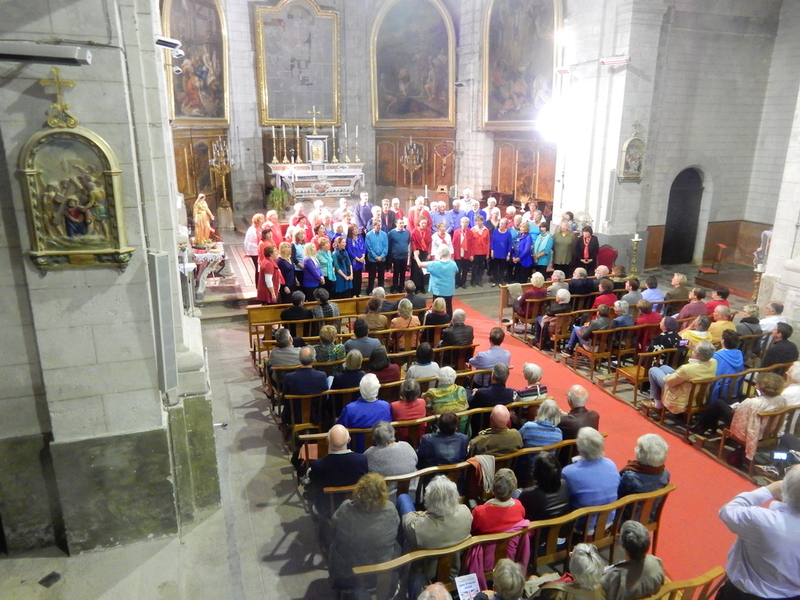 We shared a lovely joint concert in the pretty Aniane Church and the weekend culminated in an evening of traditional music from the Languedoc region. We look forward to welcoming them in the not too distant future! 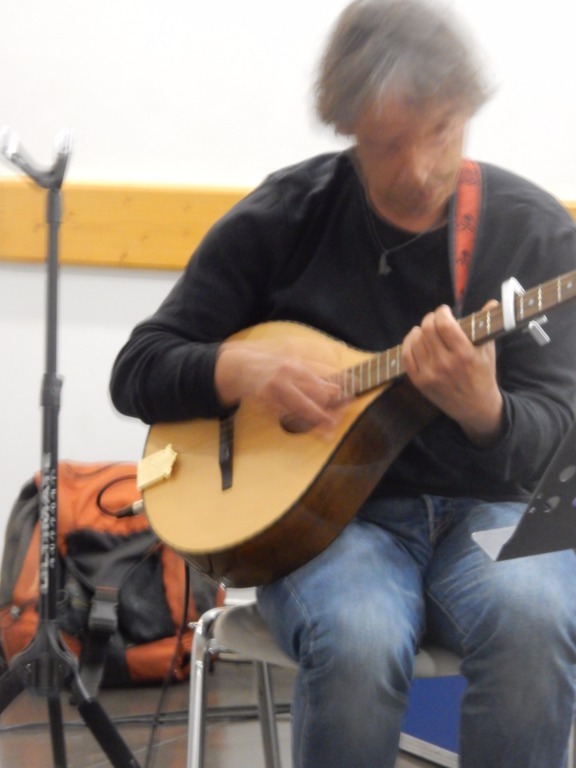 MARCH 2015 CANTAGARRIGUE VISIT AND AXBRIDGE SINGERS TENTH ANNIVERSARY! Over the (long!) 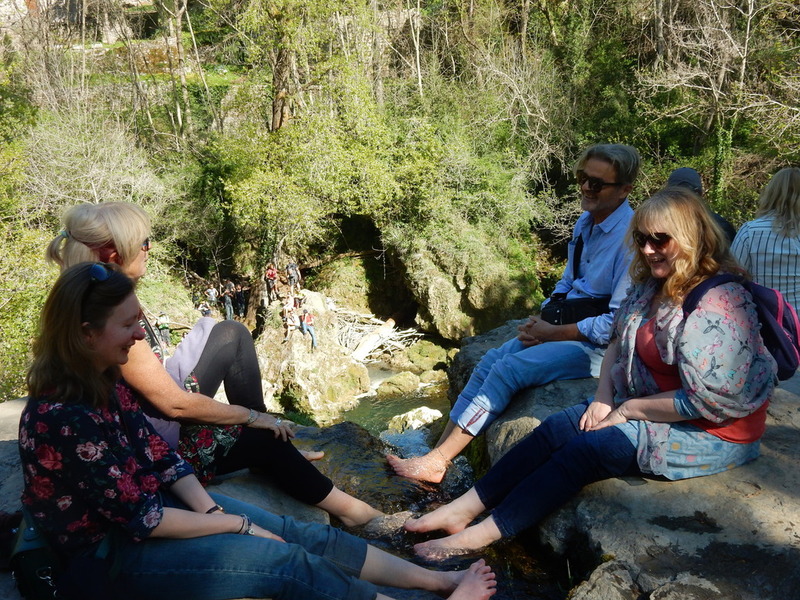 weekend 12th – 16th March we were honoured to welcome our twin choir ‘Cantagarrigue’ to Axbridge for a weekend of song, friendship and cultural exchange. Staying from Thursday until Monday, the twenty seven singers were hosted by members of the choir in their homes. The weekend’s events centred around a very well-attended joint concert in St. John’s Church in Axbridge on Saturday night, and as well as a shared meal in the town hall on Friday night, the visitors were formally welcomed to the town by the mayor Peter Yusen who bravely addressed the group in French during a traditional cream-tea on Saturday afternoon. An informal morning performance in the beautiful Chapter House in Wells Cathedral, with its awe-inspiring acoustics was perhaps the real highlight of the weekend, in fantastic contrast to the stompingly good barn dance at Shipham Village Hall, which was enjoyed by all on Sunday night, to the delightful local ceilidh band ‘Fougere Rouge’. We very much look forward to a return visit in the near future, and continued friendship between the two choirs. The following recordings were all made during the joint concert held on the Saturday night in St. John the Baptist church in Axbridge. From the film 'Les Choristes'. Paying homage to the late Nelson Mandela (AKA Madiba). Farewell Dear Love was written by Robert Jones (1577 - 1617) this song is mentioned in Shakespeare's 'Twelfth Night'! Christmas 2014 Greetings from Somerset! In October 2014, six of our French friends from Cantagarrigue came for their first weekend visit to Axbridge (Seen here with some of their hosts from our choir on a trip to Wells Cathedral). Sunday, we took them with us to Stourhead to sing at the Festival of the Voice, and enjoyed fantastic September weather. It was so nice to welcome them here – and we are looking forward to seeing them again in March 2015, when a bigger group will be joining us for the weekend. Thanks to all the Axbridge Singers who made the first weekend so successful with their generous help and hospitality. 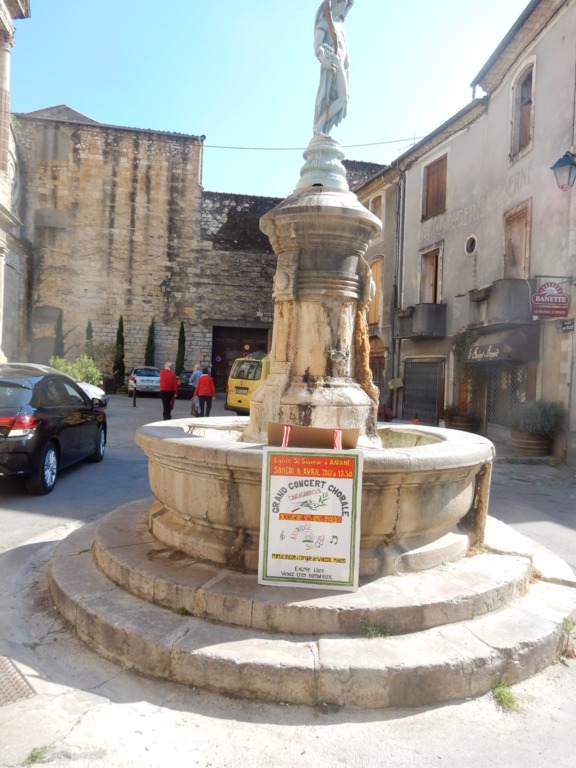 October 2013 saw a delegation from the choir travel to France, and what a great time we had in the Languedoc with Cantagarrigue! We had the very best of French hospitality: Françoise and her choristers couldn't have been more welcoming. Photos from the trip can now be seen in our photo gallery!